Breeze through the final stages of pregnancy with the Mama Mio Third Trimester Butter Bundle. 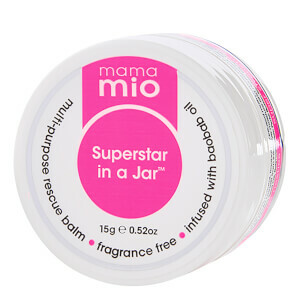 Combining a trio of bestselling Mama Mio products, the bundle is designed to treat and care for mum-to-be during the third and final trimester of pregnancy, when fatigue levels are high and skin can be stressed. Host to a moisturising body butter, soothing breast cream and cooling leg gel, each product within the bundle is suitable for use whilst pregnant and will leave skin thoroughly nourished.